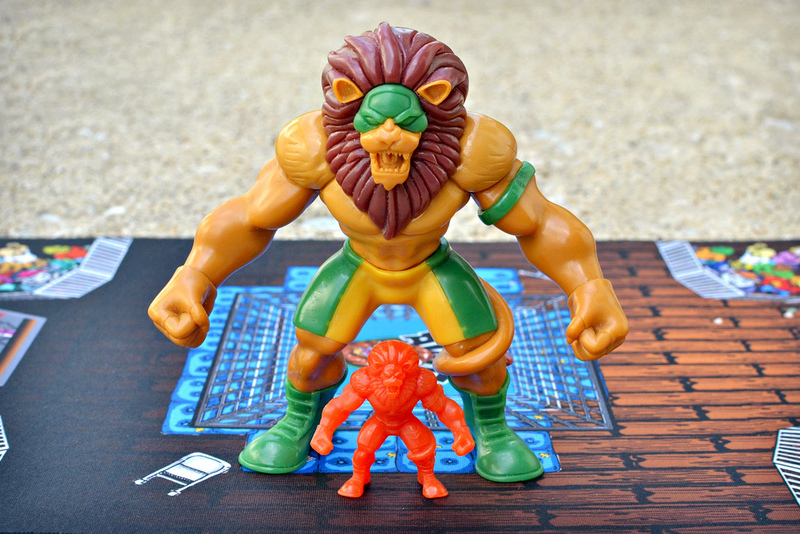 Little Weirdos: Mini figures and other monster toys: Mystical Warriors of the Ring: Playmat, Tembo Jiwe, & Generations 5" lion! Mystical Warriors of the Ring: Playmat, Tembo Jiwe, & Generations 5" lion! 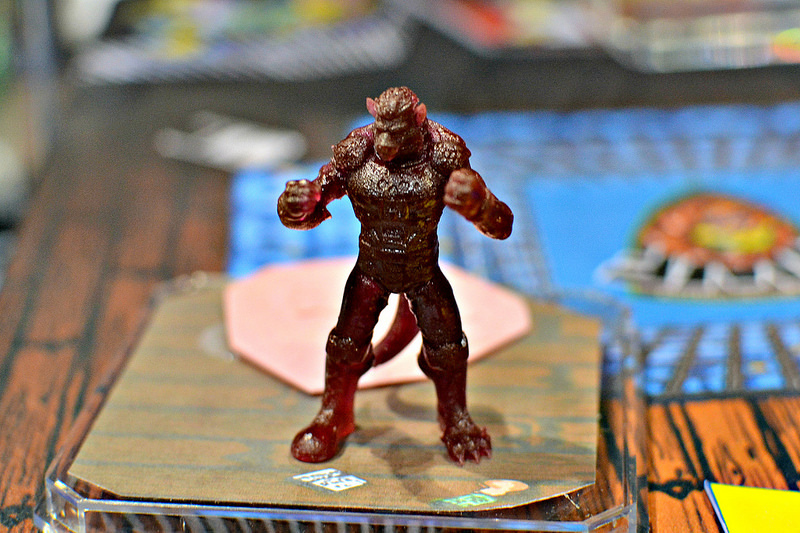 A couple weeks ago I attended Chicago's C2E2, and there was one booth I knew I had to visit first while at the con: the Nerd City booth, where the latest offerings were on display and for sale from one of my favorite indie toy lines, Mystical Warriors of the Ring! Last year's C2E2 was my first introduction to MWOTR, when I picked up the line's debut set at the show. Considering how much Fantastic Plastic Toys has accomplished with MWOTR since then, it's hard to believe only one year has passed. The rest of 2013 through early 2014 saw multiple limited edition resin figure releases that quickly sold out, in addition to a successful set of three figures produced in PVC, already released in a range of cool colors. Based on what was shown at C2E2, the line is keeping up the momentum and will be just as exciting for the rest of the year and beyond. 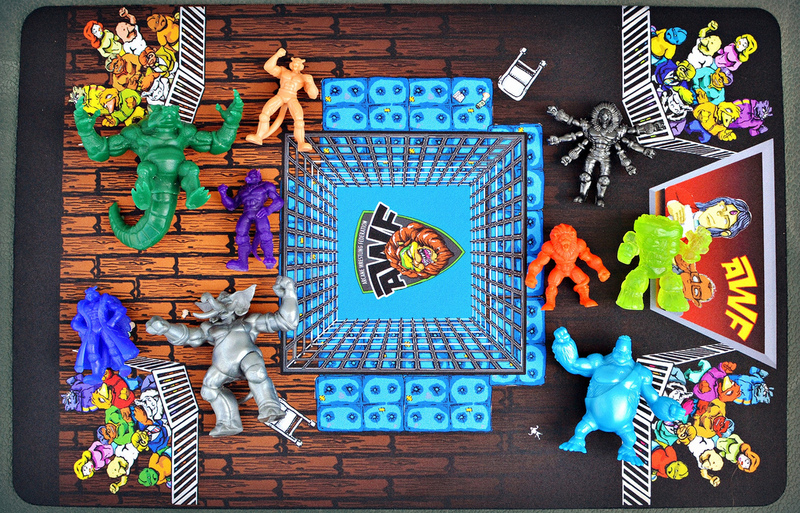 First up is the MWOTR playmat, which now gives fans of the line an awesome setting for the mini figures. 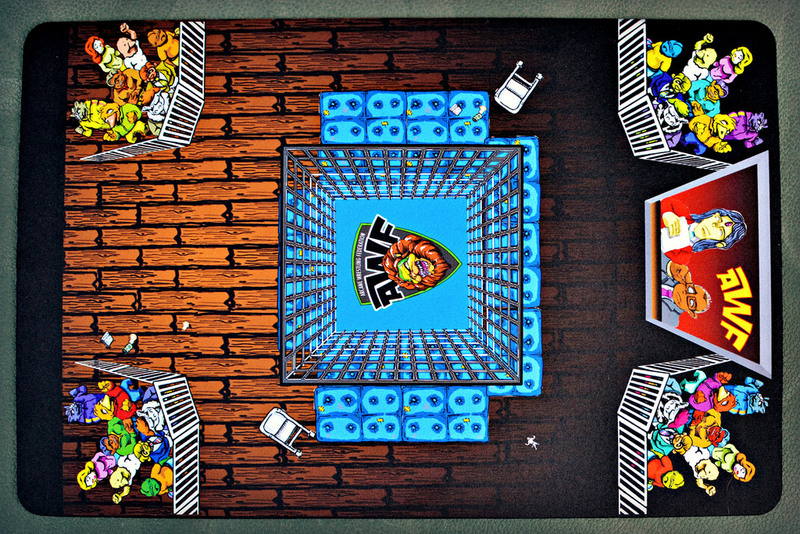 The mat features full color artwork depicting a wrestling arena for the Arcane Wrestling Federation (AWF) that MWOTR's storylines are built around, including a wrestling ring, wooden boarded floor and even four corners filled with cheering anthropomorphic AWF fans. The design includes a ring in the middle, but what makes it even cooler is you can place one of the 3D MWOTR wrestling rings sold separately over it, as well. 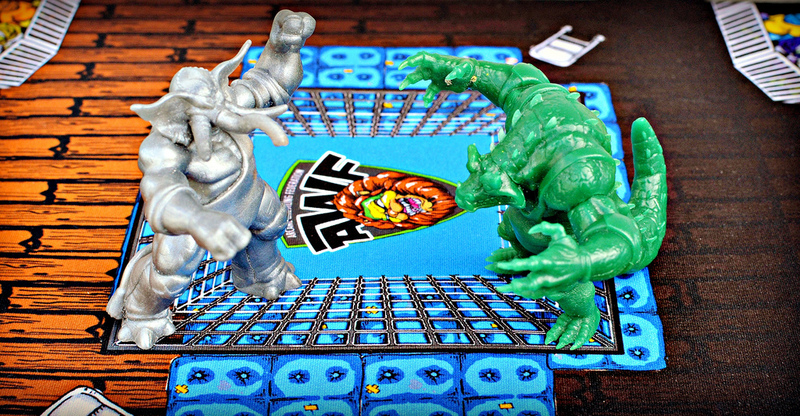 The art on the mat is very colorful and vibrant, adding even more to the fun, fantastic storyline behind the toys. The mat is made of a rubber bottom and a cloth-like upper-layer, very similar to the feel of a mouse pad. This makes for a very sturdy piece, since you can roll it up and fold it every which way, and it will keep laying flat when you set it down. The rubber material also works nicely to keep it from sliding on surfaces. The playmat can currently be ordered for $10 from the True Cast Studio store. 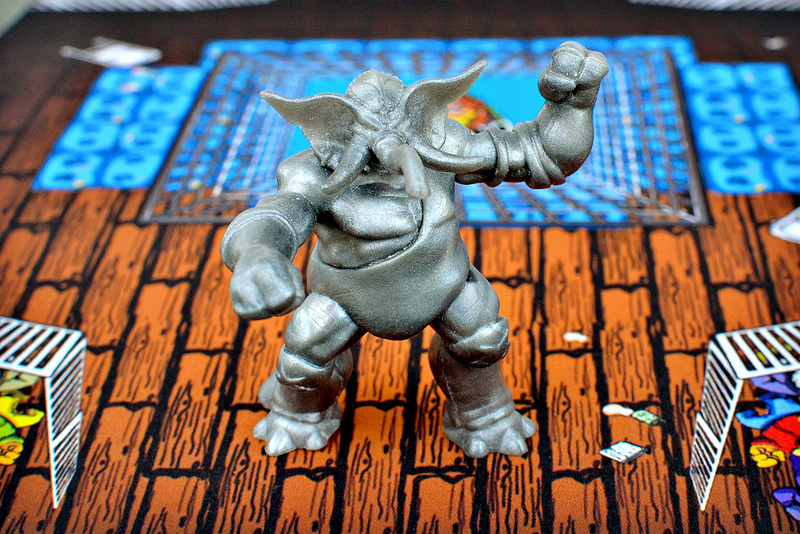 Tembo is 2.5" tall, molded in multiple parts, and a really hefty figure—along the lines of previous MWOTR heavyweights Goliath (crocodile) and Kayin Kungaa (gorilla). I got a silver version, which I think suits the character really well. Finally, check out this stunner—a 5" MWOTR "Generations" lion figure that was also available at the con! 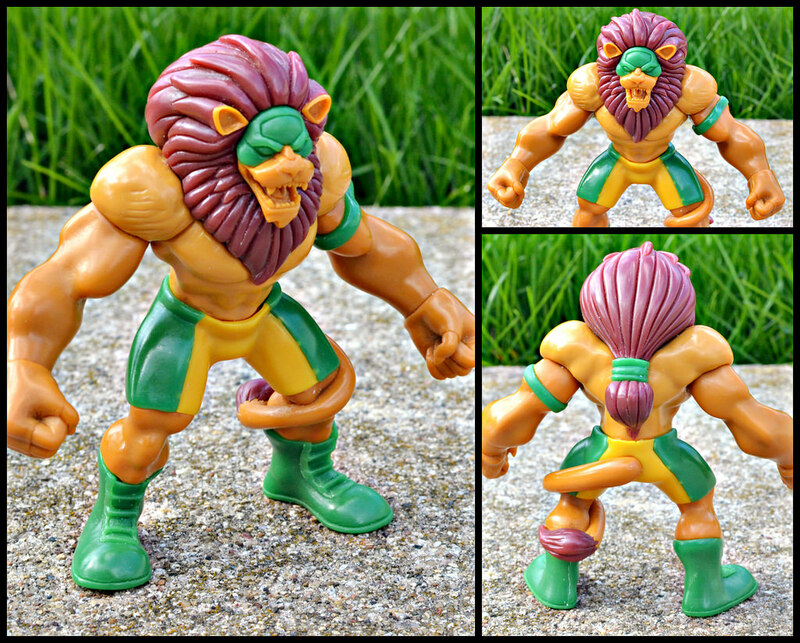 This "Generations" figure is based on the previously-released MWOTR mini figure of the lion wrestler Leo Corazon, and uses that sculpt by Simon Grell blown up to a significantly larger size. 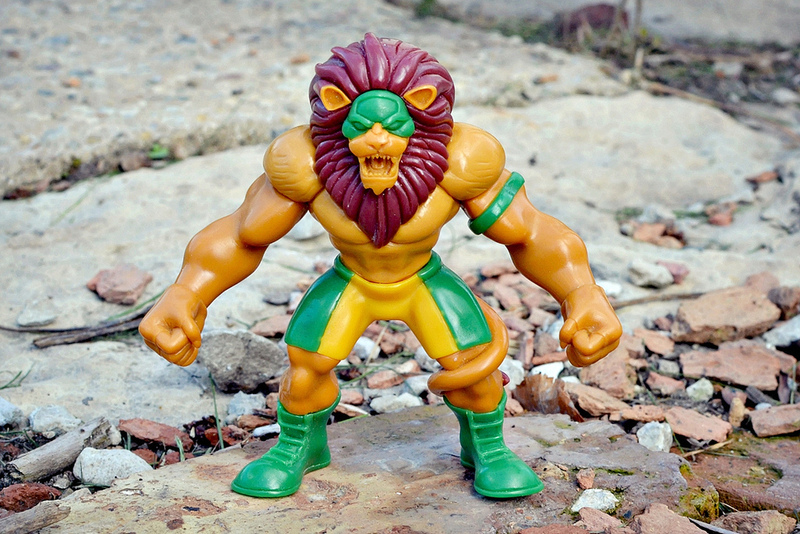 There are six different versions of this Generations figure, each with a different color scheme to represent a different lion in Leo Corazon's family line of wrestlers (for example, the figure shown here in the green and yellow suit is Alberto Corazon, Leo's grandfather). In addition, single-color versions in purple and orange have been made available. Check out all the different Generations versions here. One of the things that makes the Generations figures so incredible is the way they were put together. 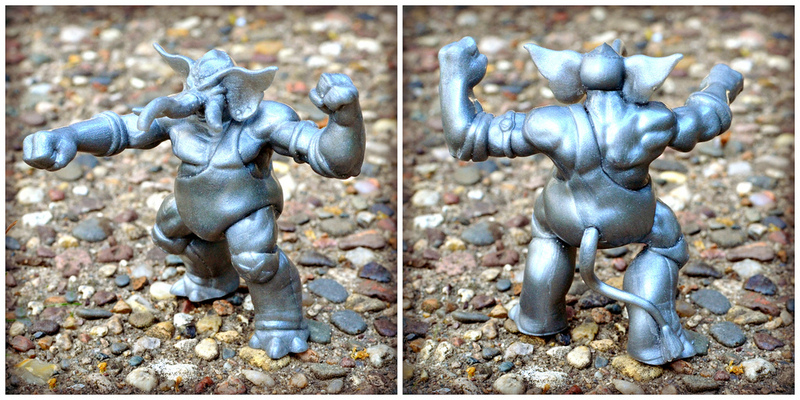 The Leo Corazon mini figure sculpt was blown up and polished and prototyped into its new state by TheGodBeast, Marty Hansen. Then, Josh Edwards of True Cast Studio casted the figures in urethane using many pieces put together—there's no painted parts; each color is a different piece! This gives the figure a really unique, special look. It's really a work of art, and a very cool complement to the mini figure line. It looks like there are still a few Generations figures from the con now for sale in the True Cast Studio store, with Fantastic Plastic Toys mentioning plans to possibly offer made-to-order figures in the future. In addition to the items above, a pearlescent green PVC figure set was available at the the show, which I previously wrote about. These are now available in the True Cast store as well. With excellent additions like the playmat and the Generations figures, Mystical Warriors of the Ring continues to impress, and as always, I'll look forward to seeing what's next. For now, I'll wrap up this post with a shot of a new MWOTR Ulric Wolfrom sculpt that was on display at C2E2. A previous Ulric sculpt was released in the first ever MWOTR set, but now he's been made even cooler and will be available in the next PVC set coming later this year! Be sure to keep an eye on mystwarriors.com for future updates on that and all other news about the line. Ah so you went grabbed the last Tembo, huh? I must've stopped by the booth sometime after you, because I didn't see him. I kinda regret not picking up a generations Leo, that guy looks amazing. Yeah, I got there a couple hours after the con started on Friday and they were already down to only one Tembo!